1. On your Android device - Press the Download button below and download your OpenVPN config file. 2. 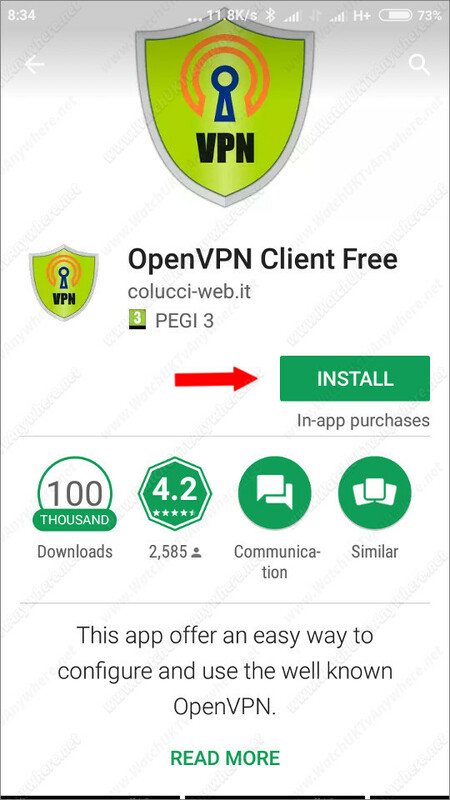 Load up the Google Play Store App, search for openvpn client free. Select a free app called "OpenVPN Client Free" and Install it.